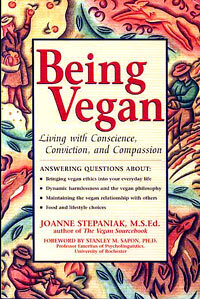 In this definitive guide to veganism, an often misunderstood lifestyle choice, renowned activist and award-winning on-line columnist Joanne Stepaniak fields questions from both friends and foes, describing how compassion, kindness, and respect for all animals - including human beings - can be thoughtfully and practically incorporated into day-to-day living. Tackling a wide range of difficult, useful, and engaging topics - from maintaining vegan convictions under social pressure to finding the hidden animal by-products in ingrediants lists - Joanne provides insight, reassurance, and answers for the many difficult questions that vegans face in a non-vegan world. 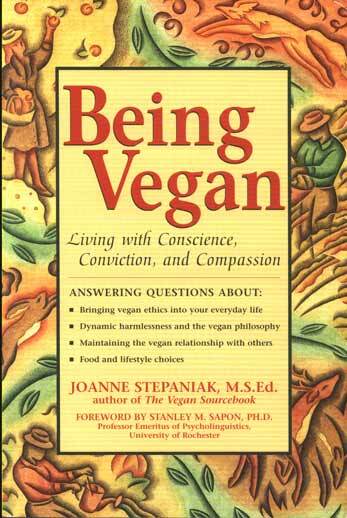 Joanne Stepaniak, M.S.Ed., is one of the nation's foremost authorities on vegan living. She writes an advice column on compassionate living for Vegetarian Voice magazine, is the host of an award-winning vegan Web site, and has authored numerous internationally acclaimed vegan cookbooks. She is also the author of The Vegan Sourcebook.